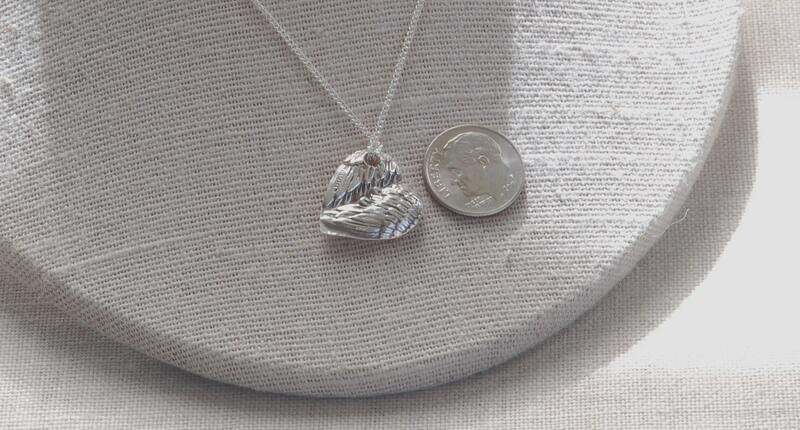 Fine Silver Angel Wing Heart Pendant. I can stamp a small message or name on the back of this pendant. Please send request before placing order. 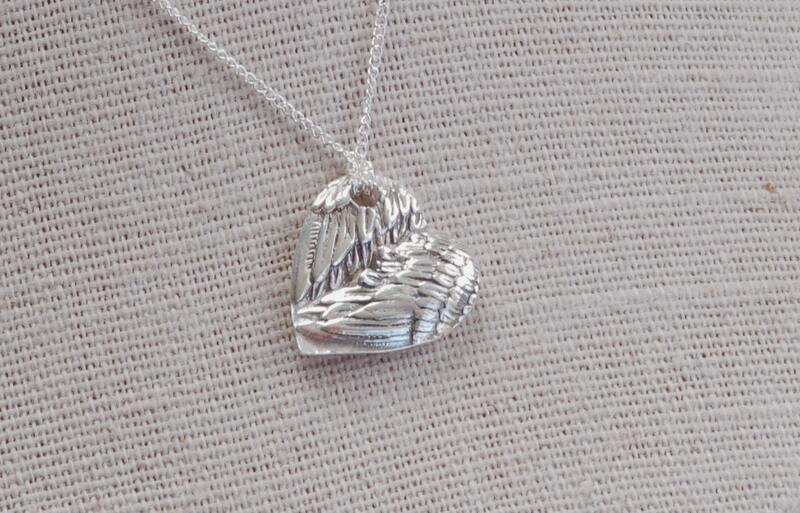 Adjustable sterling silver chain 16 to 18 inches. Susan, thank you so much for this lovely necklace. It is even more beautiful than I imagined and my friend loves it. Thank you for providing such a special gift that means so much. Very beautiful pendant. Arrived very quickly. Thank you.